Dual load & triple load metering provides measurement & isolation of two or three loads using a single meter. Single phase or 3-phase loads. Combined with plug-in triple CTs these meters are easy to install & very cost effective. Display volts, amps, kW, kwh, kvarh etc. Display volts, amps, kW, MD, kwh, kvarh etc. 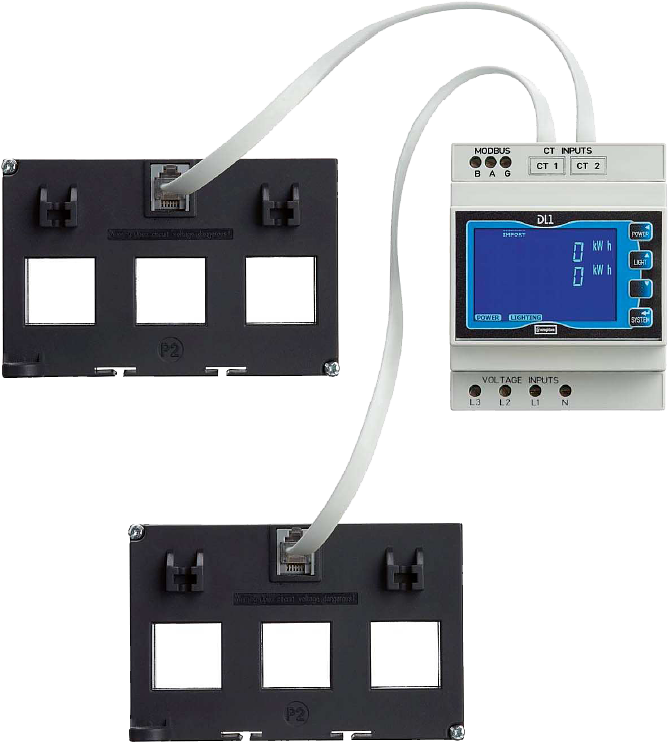 Up to 31 DTS-353-100A-M 3-phase meters can be remotely monitored by one Pro-face touch screen display. 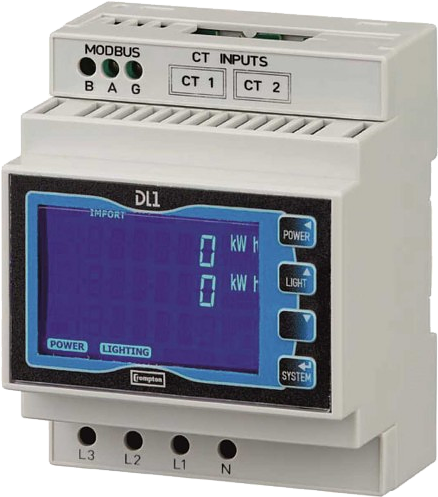 Up to 31 LP-KWM meters can be remotely monitored by one Pro-face touch screen display.